Dan P. McAdams is the Henry Wade Rogers Professor of Psychology and Professor of Human Development and Social Policy at Northwestern University. Professor McAdams received his BS degree from Valparaiso University in 1976 and his PhD in psychology and social relations from Harvard University in 1979. Honored as a Charles Deering McCormick Professor of Teaching Excellence at Northwestern, Professor McAdams teaches courses in Personality Psychology, Adult Development and Aging, Theories of Personality and Development, and the Literatures of Identity and Generativity. Listen to an audio interview with Professor McAdams, "What’s the Difference Between a Conservative and a Liberal?" 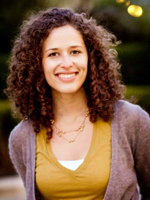 Regina Logan is a research assistant professor at Northwestern University. She is the director of the Foley Longitudinal Study of Adulthood (FLSA) alongside Dr. McAdams, who is the principal investigator. Professor Logan teaches Adulthood and Aging, Gender and the Life Course, and Career Development. Dr. Logan's research and interest areas include gender issues, career development, generativity, and wisdom in adulthood. She is also interested in the effects of race on development and has begun a project looking at how historical events are narrated, focusing on differences of race and gender. In addition, Dr. Logan has extensive experience in teaching and learning in adulthood. Professor Logan has been named to the student government's Honor Roll of best faculty three times, and in 2009 she received the Outstanding Faculty Award from the School of Education and Social Policy. 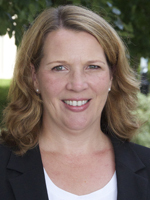 Lisa Renaud is the data coordinator for the Foley Longitudinal Study of Adulthood (FLSA). She received a bachelor’s degree in sociology from the University of Michigan. Her database experience includes work as a research assistant and archivist at the Inter-University Consortium for Political and Social Research at the University of Michigan, as an analyst for a healthcare consulting firm creating industry benchmarks from Medicare data, and in the Department of Preventive Medicine at Northwestern University as a programmer and analyst. Henry Raffles Cowan is a doctoral student in the Clinical Psychology program at Northwestern University. He received a bachelor's degree in psychology and criminology at the University of Toronto, and worked in addictions and geriatrics at Toronto's Centre for Addition and Mental Health before joining the Foley team at Northwestern. His research focuses on narrative aspects of mental illness, particularly on interactions between personal, cultural, and institutional interpretations of mental health and mental illness. Jen Guo is a doctoral student in the Personality & Health Psychology program at Northwestern University. She received her bachelor's degree in psychology and women, gender, & sexuality studies at Washington University in St. Louis. Her research interests include the development of and changes to personality traits, motivations, and narrative identity across the lifespan. Specifically, Jen uses qualitative methodologies and growth curve analysis to examine the different thematic qualities of people's life stories and how they relate to psychological and physiological well-being over time. Hollen Reischer is a doctoral student in the Clinical Psychology program at Northwestern University. She received her bachelor's degree in psychology and documentary studies at Duke University. Hollen has extensive experience facilitating, documenting, editing, and publishing underserved adults' life stories. She has also worked with a number of organizations to advance social and environmental justice causes. Hollen is particularly interested in the life narratives of marginalized and underrepresented people, with a focus on meaning-making, identity, and values. Carolyn Pichert Swen is a doctoral student in the Human Development and Social Policy program at Northwestern University. She received her bachelor's degree from Princeton University in politics and master's degrees from the University of Chicago in international relations and public policy. She has worked domestically and abroad in non-profit organizations as well as government agencies. She is interested in how culture and context influence peoples’ narrative identity. She is currently researching principals’ professional identity and how it changes during their first years as new principals. Claudia Zapata-Gietl is a doctoral candidate in the Human Development and Social Policy program at Northwestern University, and an MPES fellow. She received her bachelor's degree from California State University Long Beach in psychology and comparative literature. Before graduate school she worked at a non-profit serving the immigrant population in downtown Los Angeles and the UCLA Center for Research on Evaluation, Standards and Student Testing. Her main research interest is the development of identity in Latino emerging adults and its relationship to transition to college and civic engagement issues. Keith Cox is a clinician and researcher on the PTSD Clinical Team at the Charleston VA Medical Center and a Clinical Assistant Faculty member in the Department of Psychiatry and Behavioral Sciences at the Medical University of South Carolina. He studies, among other things, how individuals make meaning out of emotionally intense experiences, sometimes traumatic ones. His work with the Foley Forum and the Foley Longitudinal Study of Adulthood has centered on the high and low point episodes in the life story, and how characteristics of these emotionally intense memories relate to indices of personality traits, emotional functioning, emotion regulation, and subjective well-being. Brady Jones earned her doctorate in human development and social policy at Northwestern University in 2015. She received her bachelor's degree from DePauw University in Spanish and a master's degree from Northwestern University in education and social policy. She has worked in K-12 schools in several capacities, most recently as a teacher of high school Spanish. She studies adolescent and adult development and flourishing, specifically how personality - holistically defined - can be leveraged to make individuals happier, healthier, and more successful in schools, organizations, and their careers. 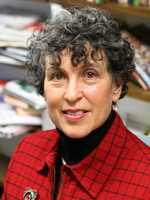 Miriam Klevan received her PhD in human development and social policy from Northwestern in 2012, where she studied the life narratives of parents who adopted after experiencing infertility. She is currently a psychotherapist in private practice. Her clinical interests include infertility, adoption, and helping couples, families and individuals adjust to medical conditions, including chronic pain, traumatic brain injury, cancer and multiple sclerosis. She has published on infertility and adoption in both the academic and popular press and taught at the School of Education and Social Policy. Joshua Wilt is a postdoctoral fellow in the department of psychological sciences at Case Western Reserve University. He received his PhD in personality psychology from Northwestern University in 2014, where he was an active member of the Foley Center for the Study of Lives. His research is broadly concerned with investigating affective, behavioral, cognitive, and desire (ABCD) components that are relevant to personality structure and function. His current research examines ABCDs within the context of personality traits and life-story episodes. He is also interested in how traits and features of narrative identity relate to the psychology of religion and spirituality, with a specific focus on the experience of religious and spiritual struggles.